Let’s talk about dandruff for a bit. Dandruff are those pesky white flakes in your hair and scalp that seem to come off at worst possible times, like when you’re wearing black clothes or when you run your hand through your hair. So what can you do about it? The answer doesn’t have to be complicated. In this article, we will go over the best shampoo for dandruff you can buy today. Controlling dandruff is going to be an experiment of finding what ingredients work for your scalp. There are many dandruff shampoos and they utilize different ingredients to get the same job done. The reason for that is because some ingredients work better for some people and there is no one sure way to get rid of dandruff for everyone. Below are the top 10 best shampoos for dandruff for 2019. 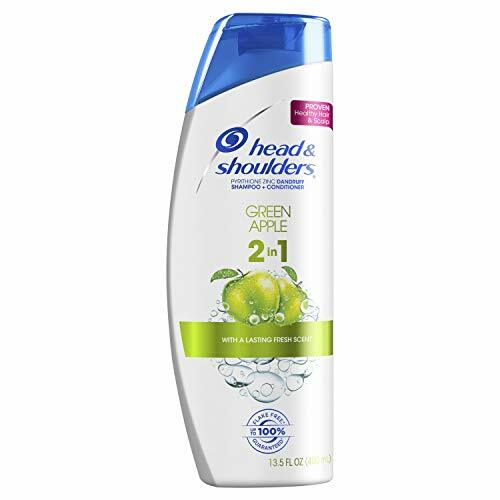 My favorite dandruff shampoo in the whole wide world is Head & Shoulders. I've tried just about every dandruff shampoo and nothing worked as well as Head & Shoulders. Now there are several different kinds of shampoos they have, so I would recommend trying the one with pyrithione zinc. That one has been the most effective for me. Keep in mind you will have to use it for about a week every day, and then you can slow down by using it every other day. The key with Head & Shoulders is you just have to be consistent with it. If you stop using it, then your dandruff will most likely come back again and you're right back where you started at. 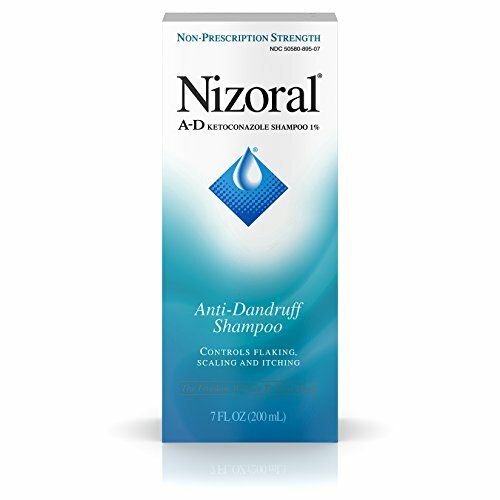 The next shampoo I would recommend trying is the Nizoral Anti-Dandruff shampoo. What's so great about this one? Well for one, it uses the famous ketoconazole 1% which has anti-fungal properties and helps to control flaking, scaling and itching. In fact, Nizoral is pretty strong so you're only going to want to use it about twice a week. Another good function of the ketoconazole ingredient is the hair retention and growth that it promotes. A lot of people that have hair loss use Nizoral or another shampoo with ketoconazole to slow down their hair loss. This is one of the newer shampoos that are more natural, sulfate free, and effective for dandruff control. Being one of the highest rated dandruff shampoos on Amazon is no easy task, which speaks volumes to the effectiveness and quality of this shampoo. This shampoo doesn't use any harmful chemicals, but rather focuses on more natural ingredients such as spikenard, rosemary, jojoba, and argan oils. Keep in mind this is not just an anti-dandruff shampoo but rather a shampoo that will give you an overall healthier hair and scalp. It also works to restore pigmentation in your hair that was effected by dermatitis (dandruff). 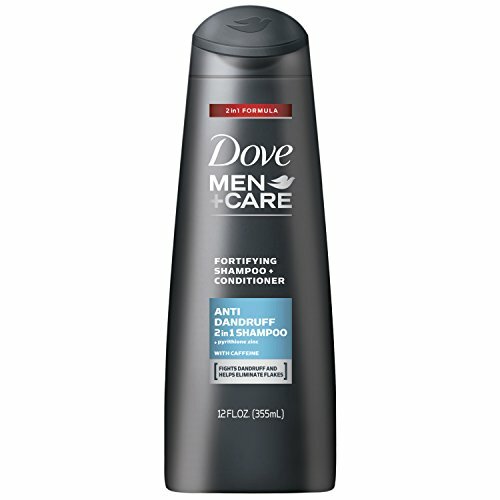 As one of the least expensive anti-dandruff shampoos on this list, the Dove for Men shampoo is obviously specifically formulated for men, so it shouldn't be used by women. Similar to Head & Shoulders, it makes use of pyrithione zinc to help strengthen hair and leave it looking thicker, healthier, and stronger. In addition, it also makes use of caffeine, which works in harmony with pyrithione zinc. If you thought caffeine was only useful in your morning coffee, then you need to try some shampoos that utilize this awesome ingredient. And don't worry, your hair will not gain too much energy and jump off your head in excitement. 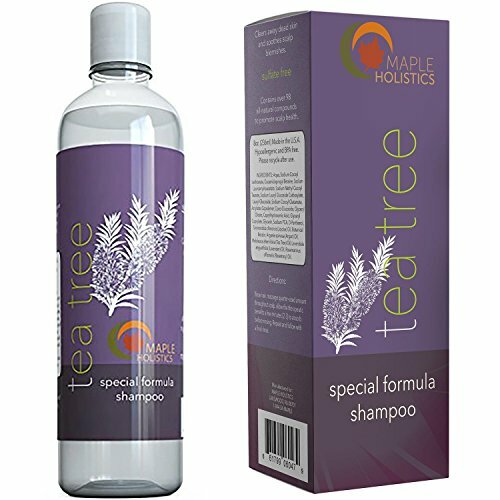 Another natural dandruff shampoo by Maple Holistics, this tea tree oil shampoo is specially formulated for dry, itchy, and flaky scalp. The tea tree oil ingredient works to provide an anti-fungal and anti-bacterial protection for your hair and scalp. It does not contain any harmful chemicals and it is also free of sulfates. In addition, it works to promote hair growth for men and women who are facing with hair loss problems. Another great feature of this product is that it protects hair from hair lice, so you have one less thing to worry about. While this is not only a dandruff shampoo, it should work well to treat and control dandruff in some people, so it is well worth a shot considering all the other advantages it has. 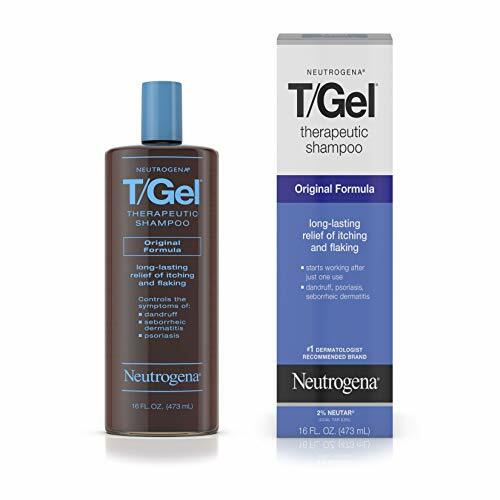 The Neutrogena T-Gel Therapeutic shampoo is another great dandruff shampoo that has been shown to be super effective in treating dandruff in some people. Unlike most other shampoos on this list, this shampoo utilizes the patented ingredient called Neutar 2%, which includes 0.5% of coal tar. Putting coal tar in your hair seems like a bad idea, but it's actually been proven to be very effective for dandruff. It might have some side effects such as skin irritation, allergic reactions, and skin discoloration. Due to this strength, it is recommended to only be used about once per week in order to control dandruff. 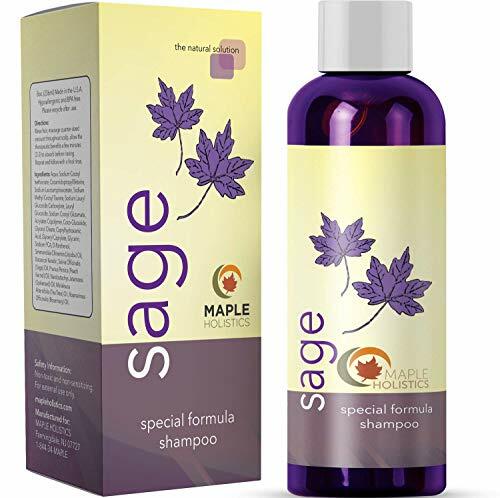 And here is another natural shampoo by Maple Holistics on this list. Don't worry, I'm not trying to push their brand more than others, it's just that they have so many wonderful products that are rated to well that they must be doing something right. 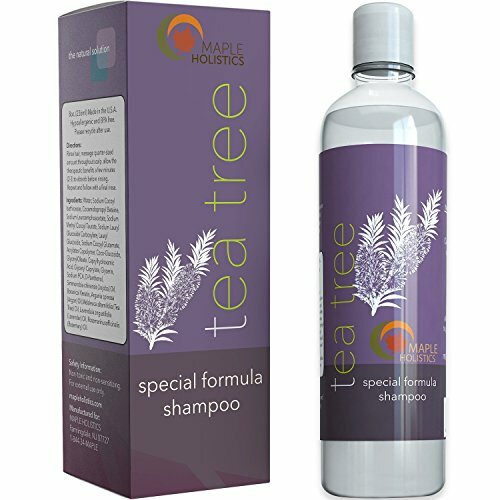 This shampoo utilizes the tea tree to combat dandruff and stimulate cell renewal. It also leaves your hair feeling fresh and revitalized thanks to argan, jojoba, and botanical keratin formula. The scent itself is mild and energizing, yet free of any synthetic fragrances. In addition, it also uses rosemary and Bulgarian lavender to create a very potent and organic solution to dandruff. And yet another shampoo by Maple Holistics. 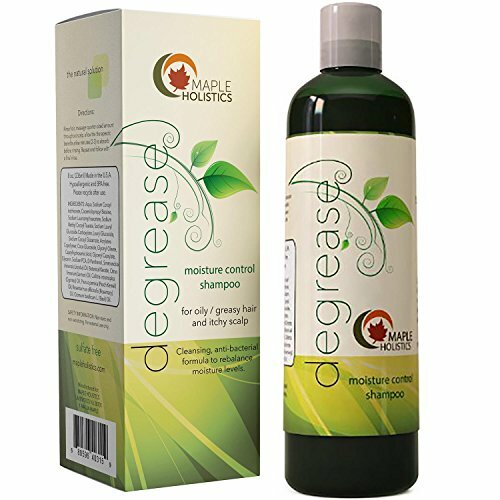 I've recommended this Degrease shampoo in some of our other best lists because it is simply a holistic shampoo that helps several issues people might have with their hair. First, as its name implies, it does remove grease and oils from the hair, so it's super useful in leaving your hair refreshed and clean afterwards. However, it also has several ingredients that help prevent hair loss and contribute to stronger and better overall hair. And then finally, it of course does help itchy hair and scalp, and thus also reduces dandruff as well. This shampoo does many things for many people and it doesn't hurt that it has awesome ratings on Amazon. 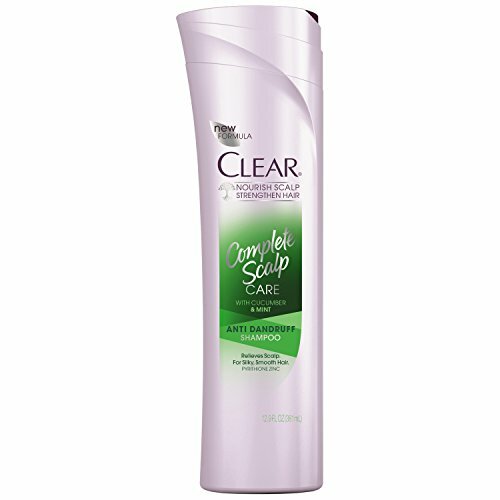 Clear Shampoo for Dandruff also utilizes the ever-popular pyrithione zinc for dandruff control. I mentioned above how incredibly useful this ingredient is when preventing dandruff, so it's not wonder it is used in many shampoos. For best results, it is recommended to be used at least twice a week, but in my personal experience, every other day seems to work even better. Pyrithione zinc is not too rough on your scalp or hair, so it can be used more often without any significant side effects. This shampoo uses cucumber and mint for fragrance and it smells wonderful, but we all know its effectiveness against dandruff is really what makes it stand out. If you've tried Head & Shoulders, Neutrogena T/Gel, Nizoral and various other shampoos and none of them were effective in treating your dandruff, then your next bet is to try Selsun Blue. This shampoo uses Selenium Sulfite 1% as the main active ingredient in controlling dandruff. For best effectiveness, it is recommended to use it every time you shampoo your hair, but at least twice a week is required. In addition, it also uses menthol which leaves your scalp and hair feeling fresh, clean, and rejuvenated.